The sonorous roar coming from the back of a performance car as it straddles the upper registers of its RPM range is most of the reason people buy the damn things in the first place. Here’s how I made my otherwise timid Aston Martin into the snarling beast I imagined it to be, without spending a cent. 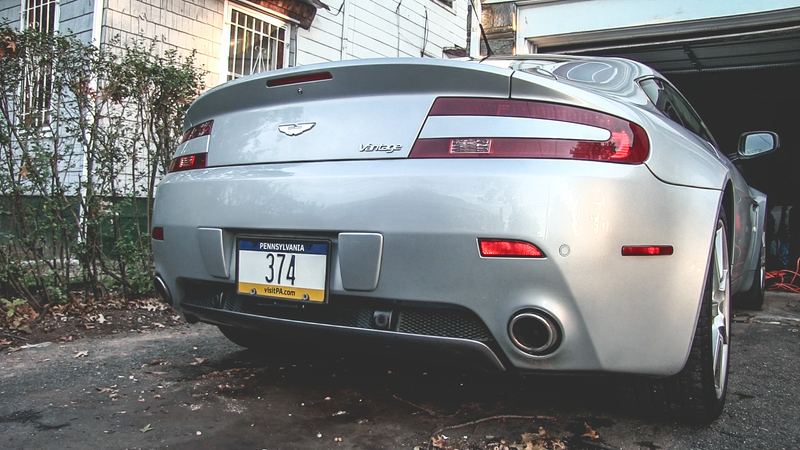 Last week, I bought one of my dream cars, a silver 2007 Aston Martin V8 Vantage, from a person who drove the piss out of it and hoped it didn’t explode when I started it up for the first time. After the initial shock of driving a hand-built exotic around a metropolitan city wore off, I was left with one daunting and inexcusable issue: The race-inspired, dry-sump, 4.3 liter V8 only sang the song of its people above 4,000 RPM and if I was daring enough to have my foot welded to the floor. At any other moment, it was so silent that I likely could’ve convinced a layperson that I was driving the world’s first electric Aston. The exhaust’s ability to go from mild to wild with these seemingly arbitrary parameters is due to a vacuum-operated valve that restricts flow and diverts exhaust gases through the muffler.When the valve is open, the exhaust gases get a more direct and loud path to the outside. The one thing operating this valve is a vacuum pump that can be deactivated remotely by simply removing a fuse in the car’s trunk fuse panel. The infamous fuse 22 removal is a favorite amongst Aston owners, as it allows the driving experience to be enhanced significantly with no monetary commitment. The procedure simply includes finding the 20 amp fuse in the car’s rear fuse box, pulling it out with a fuse puller or a set of needlenose pliers, and enjoy the gratifying sound of a refined eight cylinder sports car with an uncorked exhaust from idle. It’s also available on V12 models like the DB9 as well, and for those worrying about what it would do to their fancypants bumper to bumper factory warranty, don’t fret, as it does not trigger a fault code and it’s completely reversible. This mod will scare small children, but that’s sort of the point of owning a car like this.